We will reopen for the season on Thursday, April 25th! An amazing meal, the sun setting on the water, an inviting place to celebrate your special events and keep the magic going year-round. An exciting yet intimate dining experience, a lively bar scene with the best Happy Hour in Buffalo, an anything-but-plain-old great time...there is always something magical happening here. This is what Templeton Landing is all about. Sitting Canalside just minutes away from the First Niagara Center and Coca Cola Field, Templeton Landing touts both the largest waterfront patio and the best raw bar in Buffalo. It features unbeatable views of Buffalo Harbor, cozy fire pits, top-quality seafood and drinks to match, showing visitors a side of Buffalo unlike they’ve ever seen before. Templeton Landing is an upbeat and exciting waterfront location offering beautiful views for every occasion. 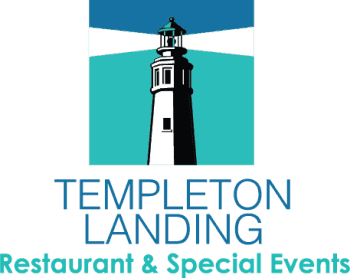 Whether you’re celebrating a life milestone or planning a business event, we welcome you to Templeton Landing. Our special events team is dedicated to making your next corporate event, wedding reception, social gathering, themed celebration or private party memorable. Let our expert event team design, coordinate and execute your occasion flawlessly. SRC, founded in 1958 by World War II Army Aircorp veteran, David C. Tallichet Jr., has been an industry leader for more than 50 years with a portfolio of 18 award-winning restaurants throughout the United States. Order your Templeton Landing e-Gift Cards online and get it delivered right to your email inbox! *Hours are seasonal and subject to change. For large parties of 9 or more, please contact the restaurant for reservations.